Sand is the most used metallic in the world after water. Sand or its ingredients are used in the manufacture of sophisticated products like glass and similar. The amazing thing is that a item that is widely used worldwide, we do not know whether it is solid, medium or gas! Things were shed, but science is still not able to determine which of the three well known conditions of the sand material. You must have definitely agreed to go to the beach. Especially if you are a citizen of Karachi then you must have gone to enjoy a bath in the sea and walk on the beach. While stroke on the beach, your feet act as solid sand and your weight is comfortable. Now if it is put in the sand watch, it will fall from the bottom of the device through a narrow hole, exactly as a liquid falls. If you fill the sand in the fist and bounce in the air then its particles will spread everywhere and stir each other and act as if it is gas. The same behavior of the sand has kept the science community present in its final determination of its status. 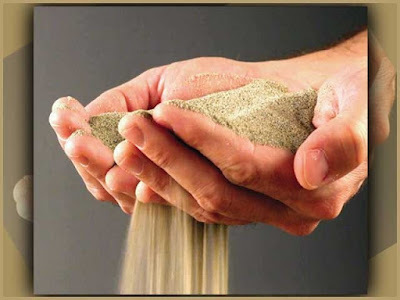 In the past, different models have been created to determine the condition of the sand. In different periods, various sciences have been adding it to a degree in concrete, medium or gas, but one can not agree on a condition. Now, in the famous Massachusetts Institute of Technology (MIT), Mechanical Engineering Association Associated Professor Can Carmen, has created a new model of sand-fixing and said that the sand is dead. They say that if we have to understand the raw material, then extending our thinking, we will have to create models that once viewed them as solid, medium and gas. Crystalline substances show concrete and gas, both say that it is difficult to determine what they will do in different situations. A reference model can be very helpful in that case. It can be found to know what sand conducts in a particular situation, so the data obtained under certain circumstances can be applied to different manufacturing processes. If this data becomes normal, then producers and different products, which have to be dealt with every time, they will make machines and pipes, which are not obstructed and flow is not inconvenient. The model manufactured with cameras is more accurate and reliable than any of the already existing models. The reason is that cameras have given special attention to the quantity of sand particles, which can be predicted with the accuracy of sand flow. This model will facilitate the production process in industries.